Oscars 2012. My view of Oscars 2012 i hope u like it. 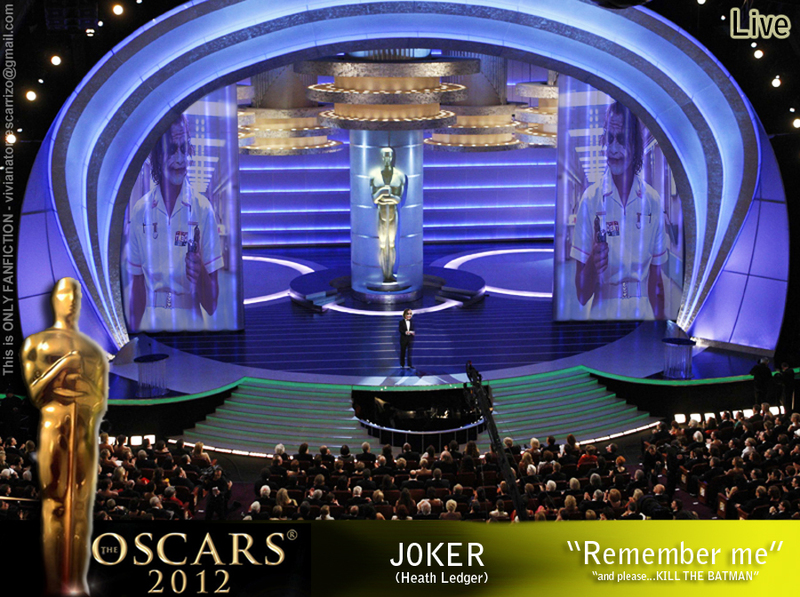 HD Wallpaper and background images in the The Joker club tagged: oscars 2012 awards 84 oscar joker heath ledger tdk. This The Joker fan art contains roda rolet, roda, and roulette roda. There might also be turntable, piring, kawasan perniagaan, pusat bandar, daerah perniagaan, and downtown.